How do I create Bot flow to send to LiveHelpNow Bot engineers for setup? Live Help Bot is offered at $95/month flat fee per Bot with free setup and unlimited revisions done by LiveHelpNow engineers per your requirements. Here is general information on setup that we will need from you to get started. In order to start Live Help Bot trial, we have to develop it for you. 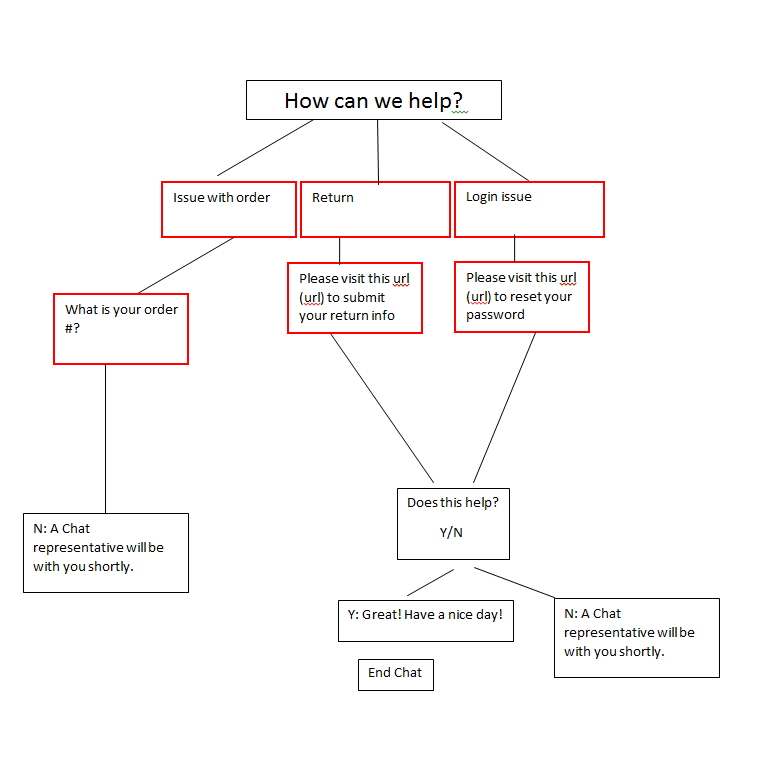 While creating a flow for your Bot, please model it after the popular game "Twenty questions", please try to come up with a flow for each tree within your Bot to get customer an answer, connect to an agent or other action in 20 steps or less. Question could be in a form of multiple choice or text input. Once the flow is created, please email it to bot-setup@livehelpnow.com along with your LiveHelpNow Account # and we will get to work on your Bot. In most we can complete your Bot in about 48 hours.